There’s no denying that every version of Sage accounting system is a powerful piece of kit, helping millions of businesses to manage their finances and their customer data. However, Sage is confined to the finance department, yet the information it contains could help your sales team. Just imagine that you’re a sales professional working for an auto parts distributor managing thousands of product lines and lots of customer accounts, how can you possibly know what’s happening with each one? Whose sales are slipping this month? Who’s buying brake pads but not brake discs? 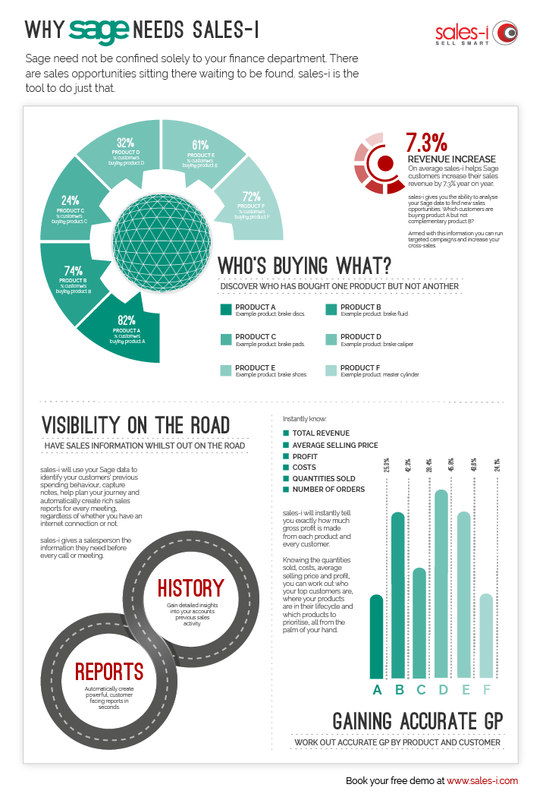 How can you create a new sales report for every meeting? Do you really know which customer gives you the most profit? Sage contains this information from your customers’ previous invoice lines. The problem is… you don’t have visibility of it. 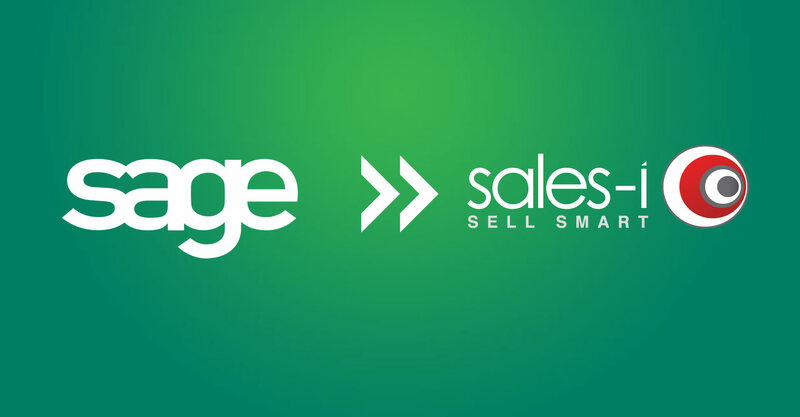 It’s for this reason that Sage users need to implement sales-i. sales-i will analyze your Sage data and present it in a clear, concise and actionable way to help increase your bottom line. If you’re a Sage user looking for a simple yet powerful tool that enables users to access and analyze sales data self-sufficiently, eliminating the need for disparate tools and specialized skills, look no further than sales-i.